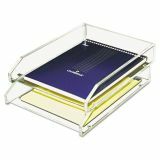 Kantek Double Letter Tray, Two Tier, Acrylic, Clear - Two-tier letter tray offers vertical storage and easy access to important letter-size documents and folders. Made of acrylic. 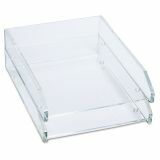 Front-loading letter trays can be used separately or stacked. 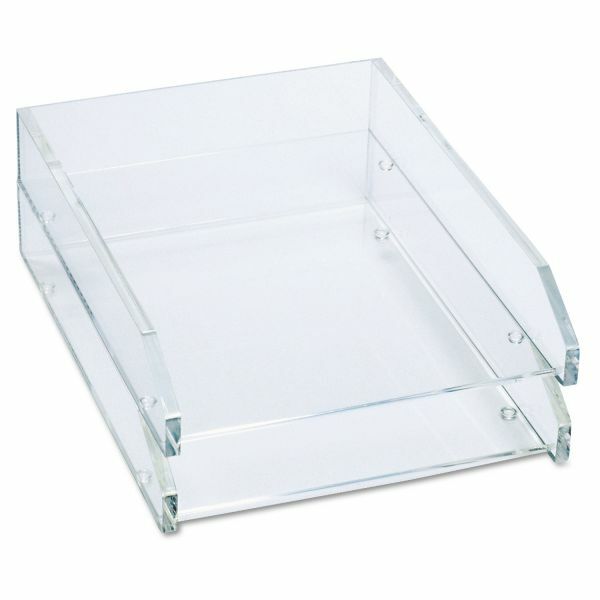 Nonskid feet protect your desktop.